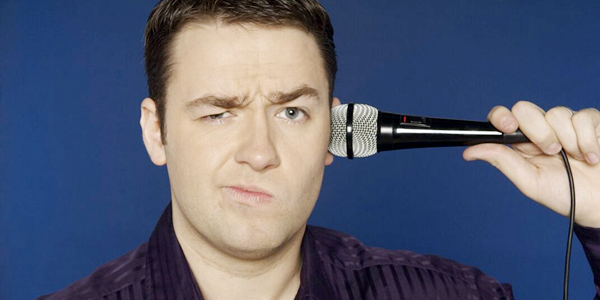 Jason Manford has become a household name in the past decade and is currently the host of the BBC’s brand new A Question of Sport Super Saturday. But tonight, he is in the Falls Park! The comedian will be taking centre stage at the Big Top for the ever-popular annual comedy night of Féile. A northern English writer, comedian, actor, radio and television presenter of Irish descent, Jason began his career in 1999, while working at the Buzz Comedy Club in Manchester. He was collecting glasses when a performer didn’t arrive for an evening set, Jason, who was 17 at the time, stepped in to fill the gap, an event which marked the beginning of his glittering comedy career. Six gigs later he was crowned The City Life North West Comedian of the Year and the rest is history! Also appearing is Willa White, a dynamic and brilliant performer who featured on the IFTA nominated RTÉ show The Savage Eye. Your compere for the evening will be West Belfast’s own, the incomparable Mr Paddy McDonnell. Join in for a night of fun and laughs in Falls Park! On a different note one of the most eagerly awaited discussions taking place at Féile this year will begin at 3pm in the Balmoral Hotel on the Blacks Road, when Relatives For Justice sponsor a talk given by former PSNI Chief Constable Hugh Orde and BBC Panorama journalist John Ware. This is one that should not be missed.